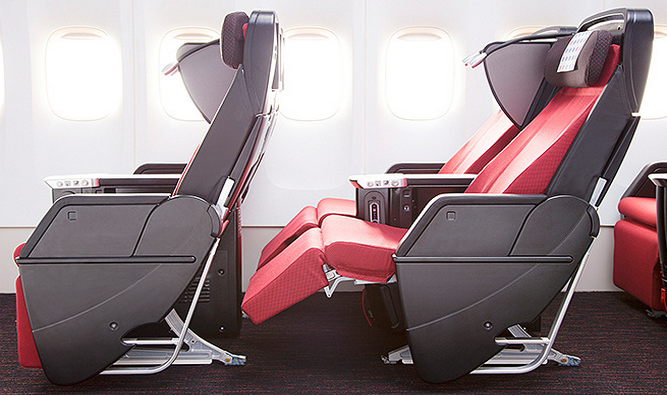 Above: The two-meter JAL Suite will be operational from January, 2013. 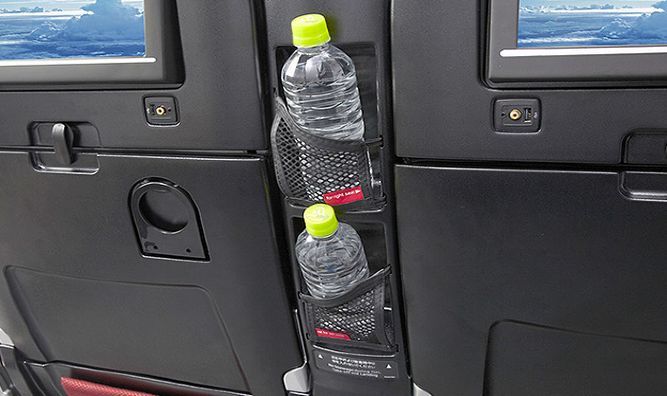 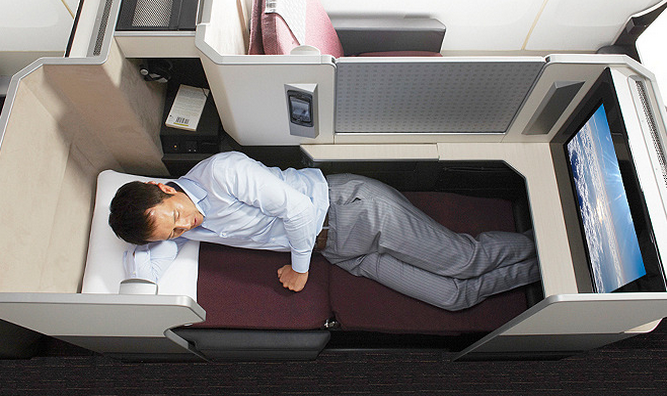 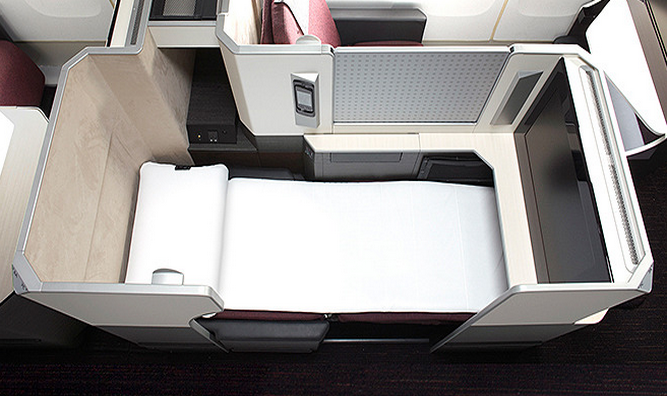 Japan Airlines has released new photographs of its seat design for its Boeing 777-300ER fleet. 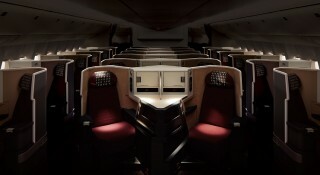 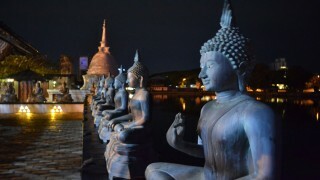 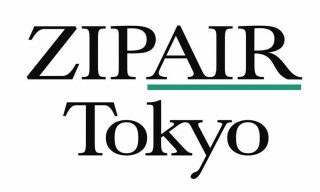 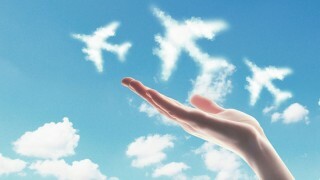 The new design will be installed ready for the daily Tokyo Narita to London Heathrow service from January 2013, before becoming operational on New York JFK and other US and European destinations. 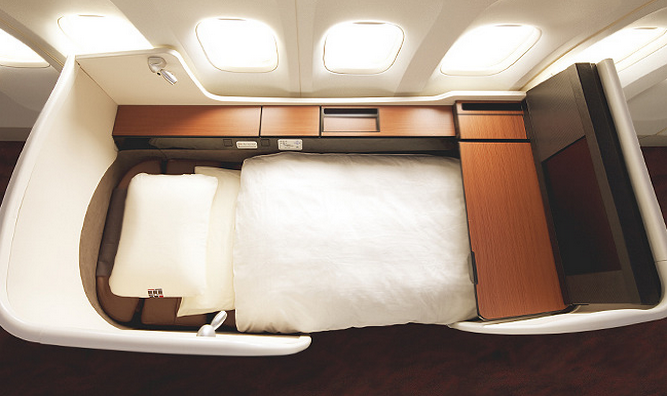 It will be the first time JAL has installed a fully flat bed in Business (known as the Sky Suite), while JAL’s First Class (known as JAL Suite) will be an upgrade on the existing seat, but will stop short of the fully enclosed cabins available on other carriers. 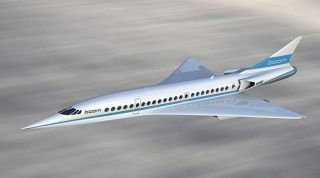 The 83-centimeter seat will, however, convert into a 2-meter bed, and will come with a 23-inch television and plenty of luggage space beneath the seat, while the Sky Suite will be arranged in a 2-3-2 configuration across the cabin—so every passenger has direct access to the aisle. 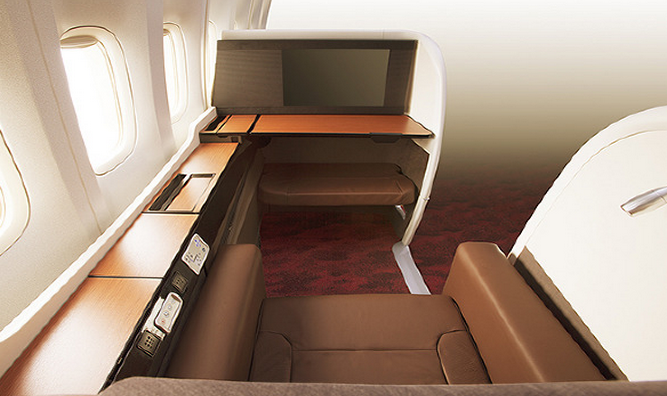 JAL's B777-200ER will see new and improved cabins starting July this year.